Favorite Part of Your Job: Interaction with my clients and getting to make people’s day. 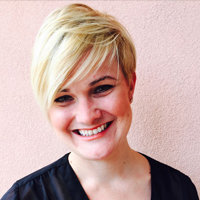 Specialty: Haircutting – designing specifically is my favorite and what I’m most passionate about. 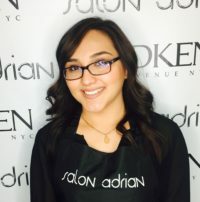 Why did you choose to work at Salon Adrian: The location was “up and coming” at the time and the proximity to my home. preferences? I like short, textured, fun styles. Service Philosophy: I try to service my clients as best I can. I do any and everything to make them as happy as possible, including taking my time and getting to know them. Personal Interests: I enjoy spending time with my family; we enjoy the beach and fishing. Personally, I love to read and cook. Specialty: Color and color-correction, special occasion style/up-dos and makeup. 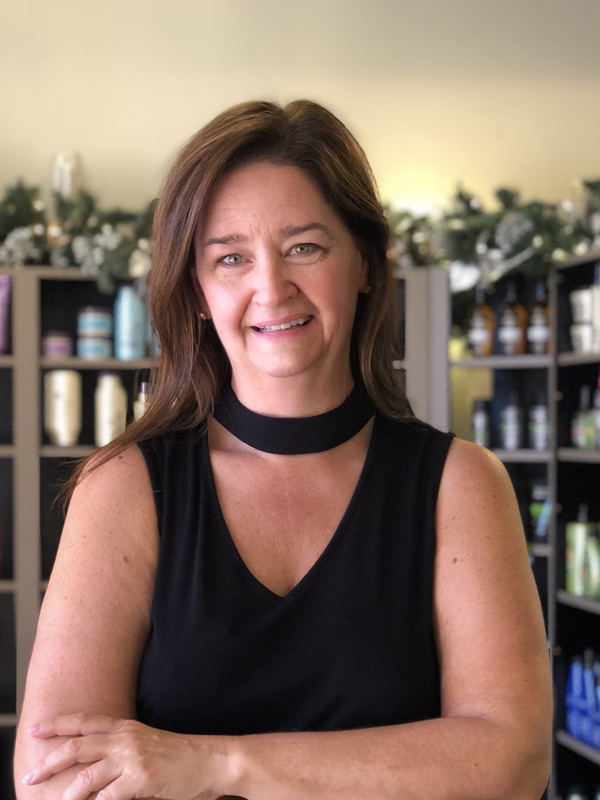 Why did you choose to work at Salon Adrian: I was excited to work in a new salon, in an up and coming area that focused on education and had a smaller, more personal staff. preferences? I’m a natural kind of girl. I love for hair to look effortless and natural, like an enhanced version of what you were born with. Service Philosophy: Think about your client first. I always try to take into account my guest’s lifestyle, personal style and face shape to find the perfect color and style customized for them. Personal Interests: My family comes first; I love my babies, but am also deeply interested in the arts and music. Favorite Part of Your Job: Investing in my clients, Creating, Being an artist with hair, Passionate about my career. Why did you choose to work at Salon Adrian: In Florida, I was looking for a professional, upscale salon and found it with Salon Adrian. preferences? Casual fun, “beachy waves” or sleek and straight. Service Philosophy: Always seeking new ways to improve myself to put the “client first” and help them look their very best. Personal Interests: Love music, photography and cooking. I also love to travel with my husband and going shopping in unique places. Favorite Part of Your Job: Teaching her clients how to manage their hair and being part of their lives. Specialty: Natural looking hair, gray coverage, and hair that works for your everyday life. Service Philosophy: Life isn’t perfect, but your hair can be! Personal Interests: Cooking, dancing, dogs (Pomeranians) and cats, Hebrew and German language study, shelling on the beach, playing Mah Jongg, socializing, watching the SWFL Eagle Cam, and charitable causes. Favorite Part of Your Job: Meeting people from all over the world and making them feel beautiful inside and out! Personal Interests: In my spare time i love to do outdoor activities, I love nature!